The document headed Heaven Agency Agreement and the conditions set out therein constitute the contract between the Vendor and Heaven Estate Agent. Any additional terms will be incorporated within a separate letter addressed to the Vendor or the Vendor's agents. Commission is payable to Heaven Estate Agent on the total sale price of the property, which shall be deemed to include any additional sum agreed for carpets, curtains, fixtures and fittings. The Vendor becomes liable to pay commission to Heaven Estate Agent LTD on the occurrence of any of the events set out in Clauses 5.2, 6.1, 6.2, 7.2, 8.2 and possibly 10 below and payment becomes due on the date of completion of the sale of the property. For the avoidance of doubt if any contracts are exchanged which are conditional and any conditions are not fulfilled such that completion of the property does not take place, then no commission is due to Heaven Estate Agent LTD. Heaven Estate Agent LTD the right to charge interest on overdue commission (both before and after judgment) at the rate of 2% above the National Westminster Bank base rate as varied from time to time. Government legislation requires sellers to commission an EPC prior to marketing. Heaven Estate Agent LTD offer various options, the details and costs of which will be discussed and agreed in advance and then confirmed in writing at the point of instruction. This means that the Vendor appoints Heaven Estate Agent LTD as the only agent for the sale of property. The Vendor shall pay to Heaven Estate Agent LTD the sole agency commission (being the sole agency percentage specified in Heaven Estate Agency Agreement, of the total sale price of the property, or such other percentage or sum as may be agreed and confirmed in writing by Heaven ) if contracts for the sale of the property are exchanged (whether during the period of the sole agency agreement or at any time thereafter) with a buyer who was first introduced to the purchase, during the period of the sole agency by Heaven Estate agent LTD or another agency within 6 months of the date instruction ended. If no other agent is involved this time limit extends to 2 years. The Vendor shall pay to Heaven estate agency commission (being the multiple agency percentage specified in Heaven estate Agency Agreement of the total sale price of the property, or such other percentage or sum as may be agreed and confirmed in writing by Heaven Estate Agent if contracts for the sale of the property are exchanged (whether during the period of the multiple agency agreement or at any time thereafter) with a buyer first introduced to the purchase by Heaven Estate Agent LTD. This means that the Vendor appoints Heaven Estate Agent LTD and one other named joint sole agent to act in conjunction with one another for the sale of the property. The Vendor shall pay to Heaven Estate Agent LTD the joint sole agency commission (being the joint sole agency percentage specified in Heaven Estate Agent Agreement of the total sale price of the property, or such other percentage or sum as may be agreed and confirmed in writing by Heaven Estate Agent LTD) if contracts for the sale of the property are exchanged (whether during the period of the joint sole agency agreement or at any time thereafter) with a buyer first introduced to the purchase by Heaven Estate Agent LTD -Lords/Burns & Webber, the named joint sole agent or any other agent during the period of the joint sole agency. In circumstances where Heaven Estate agent have agreed with the Vendor a specified term for the duration of the agreement between them, which is set out in Heaven Estate Agency Agreement, or has been confirmed by Heaven in writing, that agreement will continue at the end of the agreed period until/unless cancelled by either party in writing. Another agent is instructed during or after the period of an agreed sole agency, joint sole agency or sole selling rights basis with Heaven Estate agent LTD. Heaven Estate Agent LTD comply strictly with the provisions of the Estate Agents Act 1979, the Property Misdescriptions Act 1991, the Codes of Practice of the National Association of Estate Agents and Ombudsman for Estate Agents. Heaven Estate Agent LTD are required to disclose to prospective buyers any connection that the Vendor may have with Heaven or any member of Heaven Estate Agent staff so that all parties to any transactions are aware of possible conflicts of interest. The Vendor must inform Heaven Estate Agent if any such connection exists. On receipt of instructions from the Vendor, Heaven Estate Agent will prepare sales particulars of the property which will be forwarded to the Vendor for checking and signing off. The Vendor is required to ensure that these particulars are accurate and in no way misleading. With the consent of the Vendor, Heaven Estate Agent LTD will erect a 'For Sale' board outside the property. It may be an offence for more than one agent's board to be displayed and the Vendor agrees that no other board is erected. In addition to the sale of property, Heaven Estate Agent offer a wide range of property related services which may be offered to the Vendor and/or to prospective buyers and from which Heaven Estate agent may receive fee income and commission. 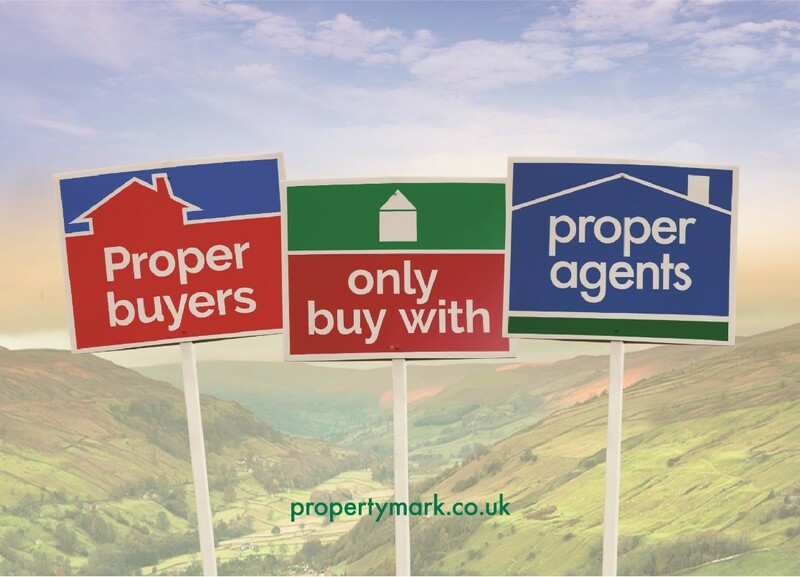 (i)Market the property as we consider appropriate (see Definitions) and unless otherwise agreed accompany prospective Tenants on viewings. (ii)Report all offers received and negotiate acceptable terms for the Tenancy. (iii)Apply for references on the Tenant as appropriate. This will usually be via the services of a Credit Referencing Agency. (v)Arrange for a professional Inventory and Schedule of Condition of the property to be made by an independent inventory firm, and for the checking of the Inventory at the commencement and end of the Tenancy. The cost of the Inventory make and check-in is payable by you. The Inventory check-out is payable by the Tenant. Should a Tenancy not proceed for any reason, any inventory costs incurred must be met by you. (vi)Unless otherwise instructed, hold the Tenant’s security deposit as Stakeholder Where the Tenancy is an Assured Shorthold Tenancy the deposit will be held and protected in accordance with Compulsory Tenancy Deposit Protection requirements under the Housing Act 2004. See G6 below Tenancy Deposit Protection. This will not apply if the provision of a Letter of Indemnity in lieu of a monetary deposit is agreed between the parties for a tenancy which is not an Assured Shorthold Tenancy). (x)Prior to the end of the agreed term of the Tenancy, serve any appropriate notices if so instructed to do so by the Landlord. (xii)At the termination of the Tenancy, forward the inventory check-out report to the Landlord and Tenant for action and costing. (xiii)On receipt of written confirmation from both parties of the agreement reached between the Landlord and Tenant regarding any deductions to be made from the deposit, disperse the deposit as instructed and confirmed in writing by both parties, and where applicable in accordance with the Compulsory Tenancy Deposit Protection Scheme (see G6 below). (i) Introduction Service Commission Our commission is 3% plus NO VAT of the gross rent payable for the full term of the Tenancy as per the terms of the Tenancy Agreement. This fee is payable in full and in advance at the commencement of the Tenancy by deduction from the initial rental payment. In the event the initial rental payment is insufficient to meet the full fee account plus any other payments due to us by you, the balance will be payable at the commencement of the Tenancy immediately on submission of our statement. The Introduction Service fee is payable whether or not subsequent rent payments are made and we will not be liable to refund any fees paid to us. If instructed or required to liaise with the Tenant regarding the renewal or extension of the original term, a commission fee of 3% plus NO VAT of the gross rent payable for the full term of the renewed or extended period as per the terms of the Memorandum of Agreement. The fee is payable in full and in advance at the commencement of the renewed or extended period immediately on submission of our invoice. For negotiating and preparing our in-house Tenancy Agreement at the commencement of the Tenancy, a fee of £230.00 is payable by both the Landlord and the Tenant at the commencement of the Tenancy. For negotiating and administering your own, your solicitor’s or the Tenant’s own Tenancy Agreement at the commencement of the Tenancy, a fee of £100 is payable at the commencement of the Tenancy. 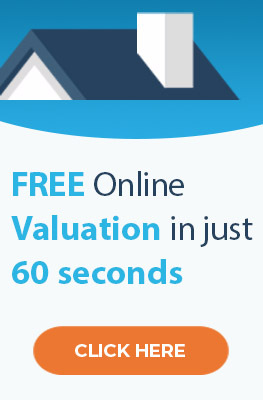 Where applicable, for negotiating and preparing our or other Memorandum of Agreement or other suitable document setting out the terms of any agreed renewal or extension of the Tenancy, a fee of £150.00 is payable by both the Landlord and the Tenant. Further services, subject to additional fees, are available for Landlords at this level of service. See F.2 and F.3. A professionally prepared Inventory is recommended for all Tenancies which are required to comply with Compulsory Tenancy Deposit Protection regulations. See G6 Tenancy Deposit Protection. (vii) Unless otherwise instructed, hold the Tenant’s security deposit as Stakeholder Where the Tenancy is an Assured Shorthold Tenancy the deposit will be held and protected in accordance with Compulsory Tenancy Deposit Protection requirements under the Housing Act 2004. See G6 below Tenancy Deposit Protection. (xi) Demand and receive rent from the Tenant on your behalf (unless otherwise instructed), and forward this to your bank, less our fees and any other appropriate deductions. (x)Prior to the end of the initial term of the Tenancy ascertain the intentions of both parties and serve any appropriate notices. (xiv)At the termination of the Tenancy, forward the inventory check-out report to the Landlord and Tenant for action and costing. (xv)On receipt of written confirmation from both parties of the agreement reached between the Landlord and Tenant regarding any deductions to be made from the deposit, disperse the deposit as instructed and confirmed in writing by both parties, and where applicable in accordance with the Compulsory Tenancy Deposit Protection Scheme (see G6 below). Our commission is 7% NO VAT of the gross rent payable for the full term of the Tenancy as per the terms of the Tenancy Agreement. This fee will be deducted from the rental payments as they are received throughout the term of the Tenancy. •any one of the same group of companies in the case of a company Tenant. Should the rent not be paid for any reason you will be liable to us for our commission whilst the Tenancy continues. (iii)Premium Lease In the event of a Premium Lease where rent is paid for a period of over one year in advance we will be entitled to deduct our fees for the full term of the Lease from the premium payment. For negotiating and preparing our in-house Tenancy Agreement at the commencement of the Tenancy, a fee of £230.00 No VAT (£276.00) is payable by both the Landlord and the Tenant at the commencement of the Tenancy. For negotiating and administering your own, your solicitor’s or the Tenant’s own Tenancy Agreement at the commencement of the Tenancy, a fee of £100 No VAT (£100.00) is payable at the commencement of the Tenancy. For negotiating and preparing our or other Memorandum of Agreement or other suitable document setting out the terms of any agreed renewal or extension of the Tenancy, a fee of £100.00 No VAT (£100.00) is payable by both the Landlord and the Tenant. Further services, subject to additional fees, are available for Landlords at this level of service. See F.2 and F.
(vii)Demand and receive rent from the Tenant on your behalf (unless otherwise instructed), and forward this to your bank, less our fees and any other appropriate deductions. (vii)Visit the property every six months during the Tenancy to conduct a visual check of the condition and report to you in writing. This is not a structural survey and we cannot accept liability for hidden defects or failure to notice anything which is concealed from us. If extra visits are required during the Tenancy an additional charge will apply. See F.1(ii). (viii)Maintain a minimum working cash balance of £500.00 throughout the Tenancy to enable us to meet the minor expenditures and regular outgoings as they become due. A float of £500.00 will therefore be required at the beginning of the Tenancy. (ix)Arrange for the remedy of defects which come to our notice or are brought to our attention by the Tenant and deal with routine repairs up to a maximum cost of £500.00 including VAT per item. (x)Obtain and submit estimates to you, unless in the case of an emergency, for any necessary works which are liable to cost more than £500.00. Works over £500.00 which require supervision will attract an additional supervisory fee. See F.1(i). (xi)If instructed by you, pay your outgoings and charges on receipt of demands in respect of the property, such as insurance premiums, rent, service or maintenance charges. Please note that we are only able to do so if placed in funds and you have instructed the relevant authorities to forward demands for payment to us. (xii)Arrange for the necessary inspections, and any resultant maintenance and repairs required under the safety regulations (see G.5 Legal Requirements). All contractors charges will be payable by the Landlord. (xiii)Submit regular detailed statements of account to you relating to all transactions undertaken on your behalf. See F.3(v). (xiv)Prior to the end of the initial term of the Tenancy ascertain the intentions of both parties and serve any appropriate notices. (xv)At the end of the Tenancy, upon receipt of the inventory check-out report, calculate and agree with the Tenant an appropriate cost or compensation for any damage not due to fair wear and tear owed to you and organise on your behalf any cleaning or repairs, replacement prior to releasing any balance of the deposit monies. (xvi)Where a Letter of Indemnity is accepted by you in lieu of a deposit, we reserve the right to withhold the balance of the final month’s rent due to you to pay for works necessary to prepare the property for any new Tenancy you instruct us to arrange. (xvii)Forward to you any post passed or forwarded to us or found by us at the property. This is subject to an additional charge if you are resident overseas. See F.3(vi). Our commission is 3% No VAT of the gross rent payable for the full term of the Tenancy as per the terms of the Tenancy Agreement. Should the rent not be paid for any reason you will be liable to us for this charge whilst the Management Service continues. (iv)Short Lets Where the full term of the Tenancy is less than 6 months, our commission is 15% plus VAT of the gross rent payable for the full term in the manner stated above, subject to a minimum fee of £500.00 . Further services, subject to additional fees, are available for Landlords at this level of service. See F1 and F3. The Management Service may be terminated by either party serving advance written notice of one month which will expire at the end of the Tenancy Term or after the expiration of one calendar month whichever is the soonest. At the expiry of such notice you will no longer be liable for the proportion of the fee relating to the Management service. However the fee applicable to the Rent Collection Service as detailed in B2 above shall remain due and payable. In the event that either party terminates the Management Service it shall be without prejudice to any claim by either party against the other in respect of any monies due to any breach of the terms hereof. (iv)We will require you to provide us with a minimum float of £500.00 at the commencement of the contract and to maintain this level on your account. Our Full Management Service does not apply when the property is not let. The Vacant Management Service is offered for properties which are vacant before or between tenancies, awaiting Landlord re-occupation or awaiting completion of sale. Such properties, if unattended for long periods, may be vulnerable to occupation by squatters. Insurance companies require notification where a property is vacant or unattended for more than 28 days if valid cover is to be maintained. They also require that the water supply is drained drown and turned off during long periods of inoccupation or non-attendance. The Vacant Management Service will ensure that the property is attended regularly during inoccupation, thereby complying with insurers requirements. Please note that insurance policies vary and you must check the details of your own policy with your insurers and notify us of any other specific requirements of which we should be aware. This Service can only be provided for those properties where we are the only key-holder. (i)Visit the property once per week to conduct a visual check on the condition. (ii)Supervise winter central heating routine. (iii)Arrange for the remedy of defects noted and deal with minor repairs up to a maximum cost of £500.00 per item. A £500.00 float will be required. (i)Our basic fee is £200.00 per calendar month, payable in advance. (ii)A float of £500.00 will be required prior to commencement of the service, which must be maintained throughout the period of the service. (iii)Any further duties requested would be subject to additional charges to be separately negotiated. Upon your acceptance of any estimates to remedy any defects or undertake repairs in excess of £500.00 and providing we are in funds, we would supervise the works for an additional fee of 10% of the cost of the works. If additional property visits are required (see C.1(i)) this can be arranged subject to a charge of £75. per visit. If we are required to make minor purchases for the property on your behalf, a fee of £30.00 plus per hour or part hour plus travel expenses will be charged in addition to the cost of any items purchased. In the event that a contractor not known to us (eg utility supplier service contract engineer or warranty engineer) is required to attend a property to remedy a defect within the Landlord’s repairing obligations, or to undertake a scheduled service, and the Tenant cannot be present, we will endeavour to appoint a person to wait at the property. Their time, including travel time, will be charged to you at £40.00 per hour or part hour plus travel costs. If we are required to assist or make application on your behalf in relation to the granting of any necessary consents (see G2) an administration fee of £50.00 per application will be charged, in addition to any fee which may be levied by the granting authority. If we are required to attend a Snagging Inspection with a contractor or developer on your behalf, a fee of £50.00 per hour or part hour, including travel time, will be charged. If a property visit as outlined in C.1(i) is required for a property not within our Management Service, a fee of £100 per visit will be charged. If we are required to arrange safety checks (see G.5 below) for a property not within our Management Service, an administration fee of £45.00 will be charged. This fee is in addition to the invoice submitted by the contractor undertaking the safety check. If we are required to or become involved in the negotiations between the Landlord and the Tenant to reach agreement regarding the apportionment of the Tenant’s deposit at the end of a Tenancy, a fee of £50.00 per hour or part hour will be charged subject to a minimum fee of £200. We can provide assistance in the furnishing or refurbishment of properties. If we undertake to supervise these works on your behalf, a fee of 10% of the total cost of the contract will be charged. Any legal proceedings must be instituted by the Landlord and all costs are the responsibility of the Landlord. Where we are required by you to liaise with solicitors, arbitrators or barristers or attend court on your behalf, our fee will be £150.00 per hour or part hour including travelling time plus travel costs and disbursements. If you are resident overseas and fail to apply for Exemption or if you are refused Exemption, (see G.3) and we are obliged to submit quarterly returns to HM Revenue & Customs, we will make a charge of £200 per annum to cover our administration costs. Delivery of documents by courier service to any party (including yourself) will be charged at cost. An additional fixed monthly charge of £10.00 is payable by Landlords resident overseas to cover our reasonable additional expenses in relation to communication by post, fax or telephone. Statements are issued to Landlords as we receive rent. Where we are required to forward additional copies to your accountants or other professional advisors, there will be an administration charge of £7.00 for each statement. (vii) Energy Performance Certificate Administration If instructed we will arrange on your behalf for the creation of an Energy Performance Certificate (see G7) to be undertaken prior to the commencement of marketing of the property by a qualified EPC provider. The EPC provider’s charge will be payable by you and we must be put in funds before these arrangements are made. Please ask us if you require further information on any of the following. Where applicable, the sole responsibility for the payment of the Stamp Duty Land Tax, which was introduced under the Finance Act 2003, is placed upon the Tenant. We will advise the Tenant accordingly. Before entering into any agreement to let your property you must check whether there are any restrictions to your doing so and whether consent needs to be obtained. Failure to obtain such consents where required, as outlined in G2(i), G2(ii), G2(iii) or any other consents which may be required, may result in invalidating the Tenancy. You are responsible for making application for necessary consents and we strongly recommend applications are made as soon as you decide to market your property for letting to avoid unnecessary delays once a Tenant is found. Tenants normally require sight of applicable consents before signing a Tenancy Agreement. When you sign this contract with us you are confirming that you have the right to instruct us to let the property and that you have obtained all necessary consents. We cannot be held liable for any difficulties arising as a result of your failure to observe these requirements. If you hold the property on a Lease you must ensure that your Lease permits you to let the premises and that you are granted consent to do so. You must also ensure the letting period will expire prior to the termination of your own Lease. Lease which outlines any rules and restrictions in relation to the use of the property. We require you to provide us with a copy of the behavioural schedule in order that it may be attached to the Tenancy Agreement. If the Tenant is not provided with a copy of the behavioural schedule he will not be in breach of the Tenancy Agreement if he contravenes these rules and any liability arising from such contravention will be placed on you. If the property is subject to a bank loan or mortgage, in most cases permission will be required from the lender before the property can be let. Most insurance policies require you to notify them if the property is to be let. Failure to do so may void the policy. Any conditions imposed by the Insurers must be notified to the Tenant prior to the tenancy commencing and included in the Tenancy Agreement if necessary and we therefore require you to inform us of such conditions. Please note that under the Regulation of General Insurance Products introduced by the Financial Services Authority we are not authorised to arrange, process or in any way administer insurance provision or claims on behalf of clients. A Property that is let to at least three individual unrelated Tenants (ie three sharers) who share basic facilities (ie a kitchen or bathroom) is an HMO. Where there are five sharers or more the Property requires mandatory licensing. HMO properties with less than five sharers are not subject to mandatory licensing however the criteria and requirements vary and some local authorities require a license for smaller HMOs. In addition, where a building is fully converted into self-contained flats and the conversion does not comply with the building standards of the 1991 Building Regulations and less than two thirds of the flats are owner-occupied, this type of building is an HMO and may need to be licensed. We therefore strongly recommend that you check with the relevant Local Authority to ascertain whether your property is subject to licensing, and advise us accordingly. You are required to advise us if your property and tenancy may be an HMO and when you sign this contract with us you are confirming that where applicable you have notified, made application to and obtained the necessary licence from the Local Authority. We cannot be held liable for any difficulties arising as a result of your failure to observe this requirement. Where an HMO is licensed, the Property will be subject to inspection under the Housing Health & Safety Rating System within five years of the application for a license. However you should be aware that any Property that is either let or available for rent, can also be subject to inspection under the Housing Health & Safety Rating System to assess potential hazards. Further information can be obtained from your Local Authority or from www.communities.gov.uk. With effect from 1 October 2006 a property which is an HMO must have, as a minimum requirement, mains linked smoke detectors in the common parts (eg hallways) and fire blankets and fire extinguishers in the kitchen. Further alterations dependant on the age and character of the property may be required. Further information can be obtained from the Local Authority or from www.communities.gov.uk.